The disruptions of wartime, the initiatives of enslaved people, gradual emancipation in the northern states, and voluntary manumissions in the South all contributed to the growth of free black communities. Freed people moved to urban centers for economic opportunity and to build their own supportive communities. By 1800 they had created African churches and mutual aid societies in Philadelphia, New York, Baltimore, and Boston. 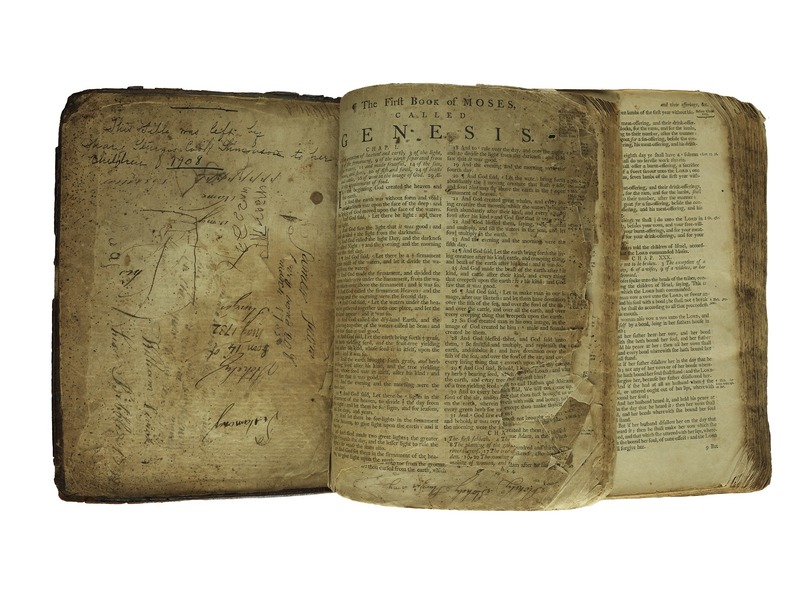 This much-used Bible belonged to Delaware farmer Stokely Sturgis, who converted to the growing Methodist movement through the influence of an enslaved man named Richard Allen. Moved by Methodism’s indictment of slaveholding, Sturgis agreed to sell Allen his freedom. Allen became a preacher and moved to Philadelphia. He founded the Bethel African Methodist Episcopal Church there in 1794.